Towards the end of 2014, Google officially began rolling out their Mobile-Friendly Notification for mobile search. As more and more people rely on their mobile device as their primary interface, it should come as no surprise that Google is working hard to make the mobile search experience better. Moving forward, when a user is conducting a search on a mobile device, this notification (highlighted below in magenta) will appear to indicate whether or not a website is optimized for mobile devices. In late February, Google announced that it will be releasing a new algorithm update on April 21st, 2015 that will actually make mobile friendliness a ranking factor for mobile search. This means that if your website isn’t mobile-friendly, your position in search engine rankings and your website traffic could drop for mobile search. Think that you’ve got a little breathing space because you picture users mostly visiting your content-rich web experience at home, as opposed to on the go? Think again. As Bryson Meunier at Search Engine Land reminds us, most smartphone usage takes place in the home, and rather than simply creating a stripped-down mobile browsing experience, developers should be looking to take full advantage of the features a smartphone offers. Want a quick gut-check on how your site currently rates? Google has created a mobile-friendly test tool that will provide you with a simple ‘yes’ or ‘no’ answer on a per-url basis. 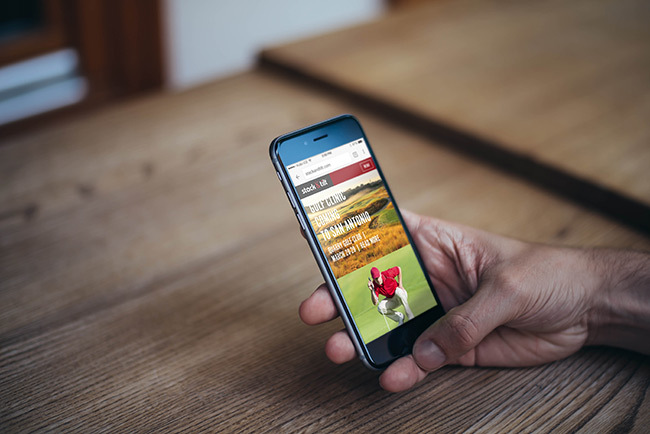 If your site is not rated mobile-friendly, the sooner you start talking to your web development provider about getting up to speed on offering a more mobile-friendly experience, the better. To talk to one of our Search Marketing experts about how Google’s Mobile Algorithm update might affect your digital marketing, give us a call or email us.